How does the GAP Game development proceed? Check out GAP’s Newsletter for January 2018. 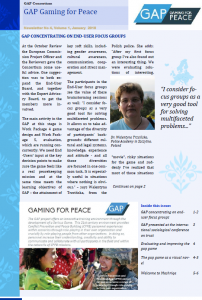 You can also subscribe the GAP newsletter at bottom of the page here.